Passengers at Sirkeci Train Station. Early 1930s, glass negative. The exhibition Journey to the Center of the East 1850-1950: 100 Years of Travelers in İstanbul from Pierre de Gigord Collection, which can be seen at the Istanbul Research Institute, tells the tale of İstanbul-centered travels of curious Westerners, who ventured out to the East from the 18th century onwards to quench their thirst for knowledge and discovery in their respective areas of interest. 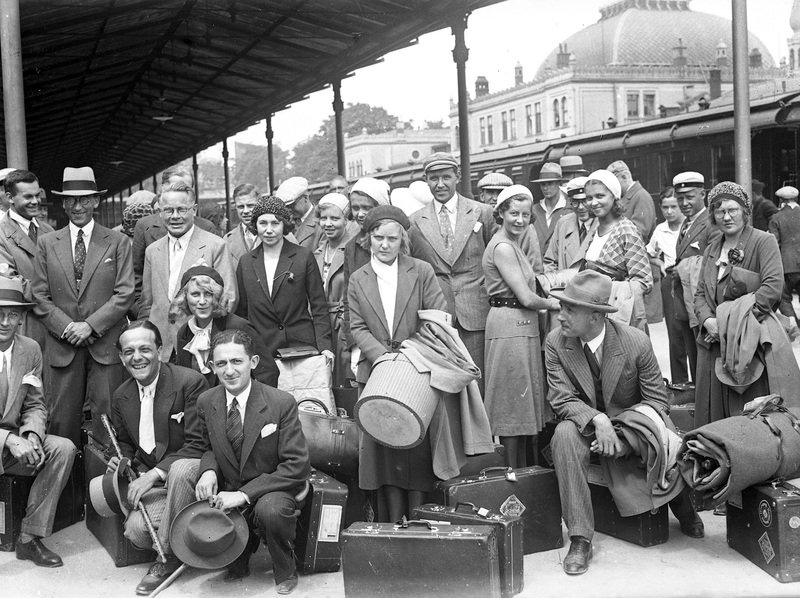 Vehemently opposing the classic rules of travel organized as part of a logic, Gérard de Nerval described himself as a capricious traveler that surrendered himself not to the simple logic of railway travel, but to the randomness of passenger cars. Rather than struggling to survive in the blinding arena of rules, his priority was to enjoy dreams as pure as a small child’s in the cradle of randomness. 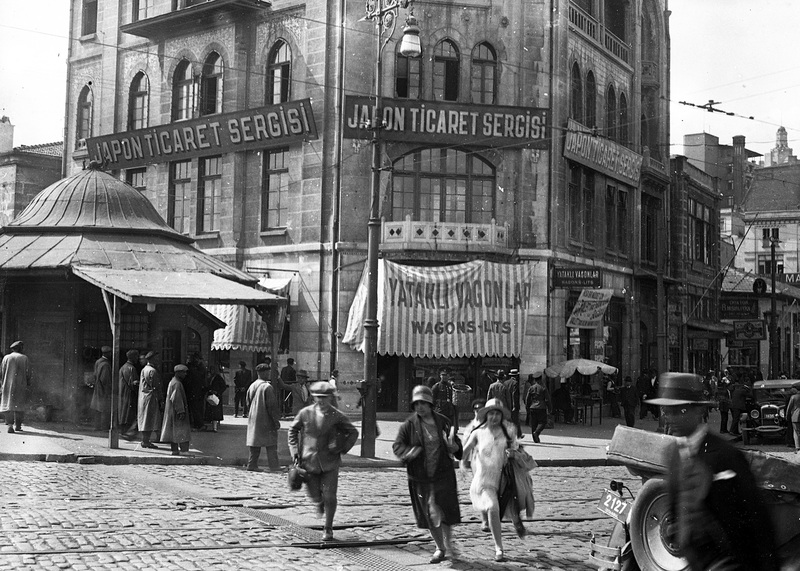 Wagons-Lits office in Karaköy Square. Early 1930s, glass negative. 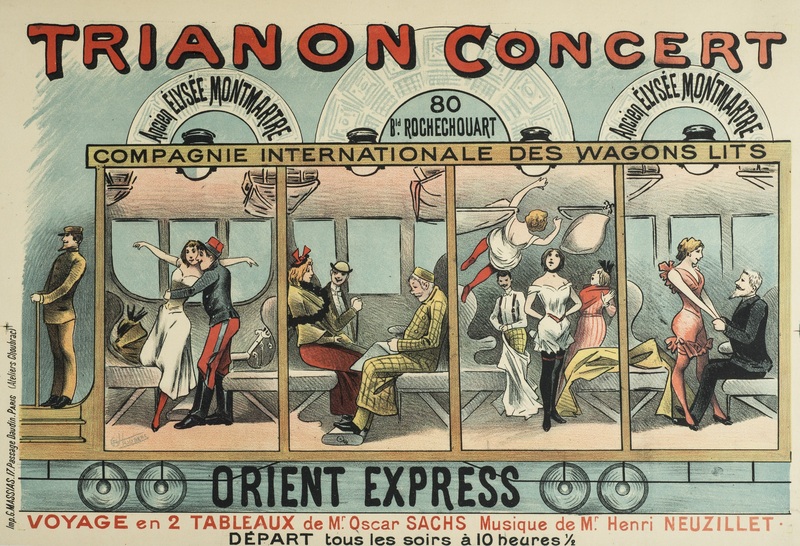 Advertisement for the Orient Express show held at the Trianon Concert. Paris, 1896. 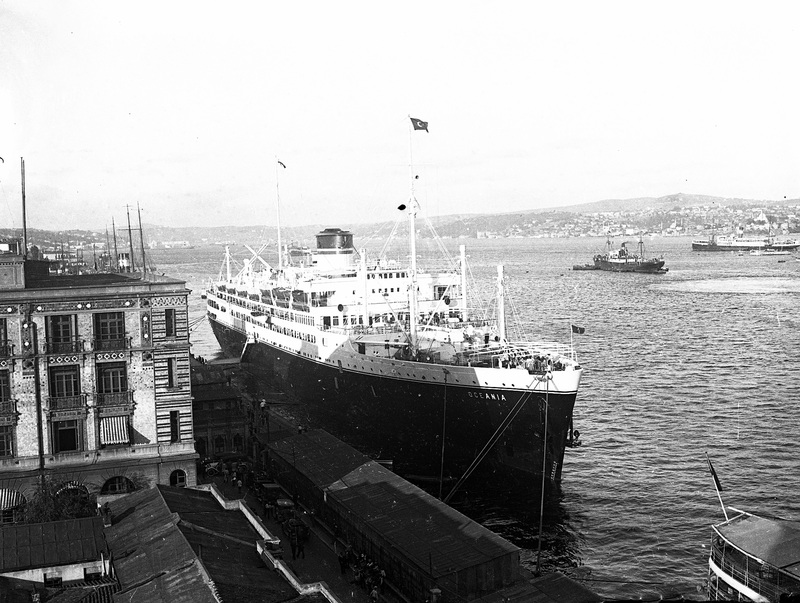 The decline of creative travel and its transformation into a monotonous act of consumption, on the other hand, was a commercial adventure that extended from the reign of Sultan Abdülmecid to the present. Oceania cruise ship at Karaköy pier. Ca. 1930, glass negative. 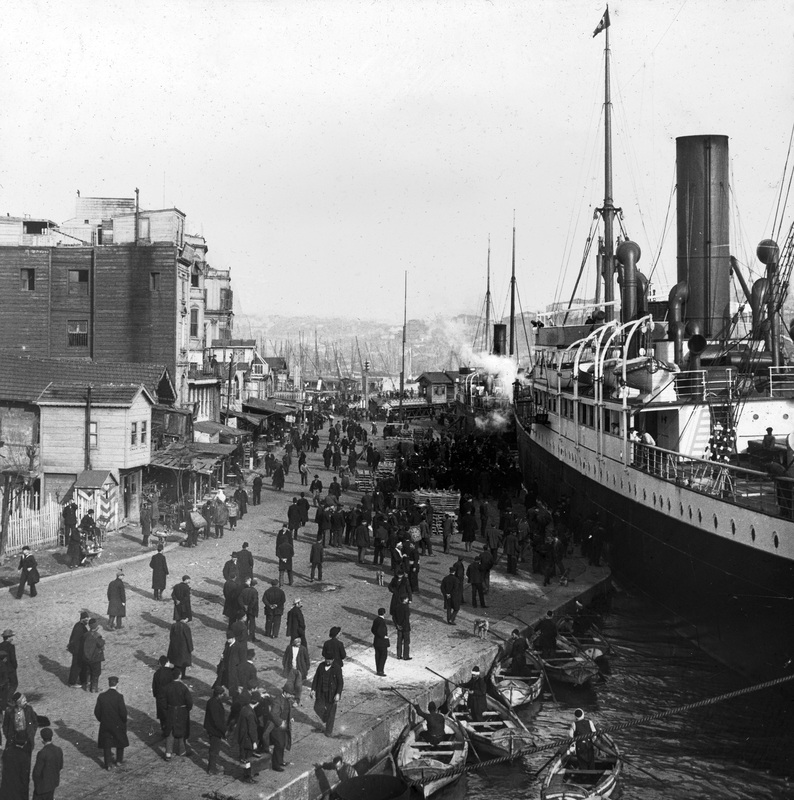 Karaköy pier, 1894. Coloured glass negative.